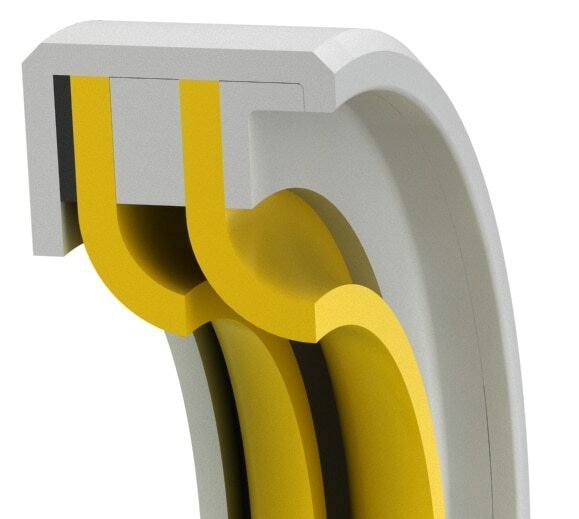 The redundant seal lips enable this seal to handle higher pressure and create additional sealing capabilities, especially under flooded conditions, and are usually used for hydraulic motors, pumps, and transmissions. B= +0.012/-0 +/-0.010 min. max. *Standard cross-sections (CS) listed and non-standard sizes can be provided for any shaft size up to 63 inches.Surface finish: Shaft (A) plunge ground, zero lead Ra 6-12µin - Housing (D,L) Ra max. 32µin - Shaft material hardness 55-65RC. Use of installation tool is highly recommended. See Technical Info for more specific information. Standard Range Functional Range * D= B= B= Tol. +0.30/-0 Tol.+/-0.20 min. max. *Standard cross-sections (CS) listed and non-standard sizes can be provided for any shaft size up to 1600 mm. 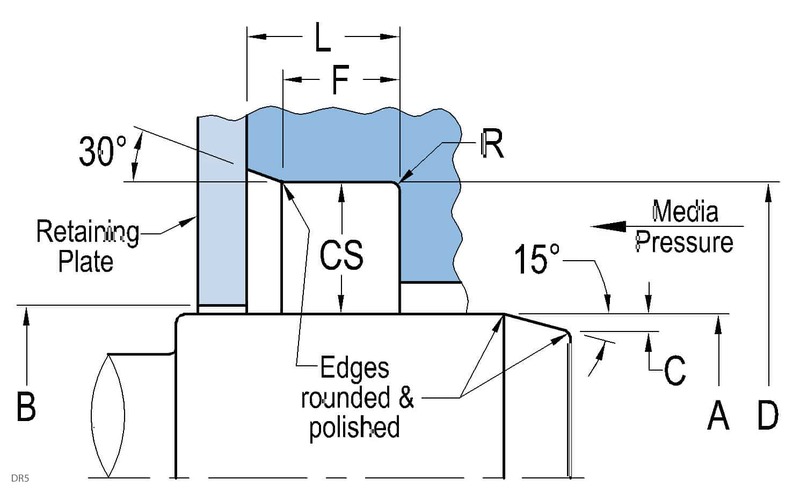 Surface finish: Shaft (A) plunge ground, zero lead Ra 0.15-0.30µm - Housing (D,L) Ra max.0.8µm - Shaft material hardness 55-65RC. Use of installation tool is highly recommended. See Technical Info for more specific information.